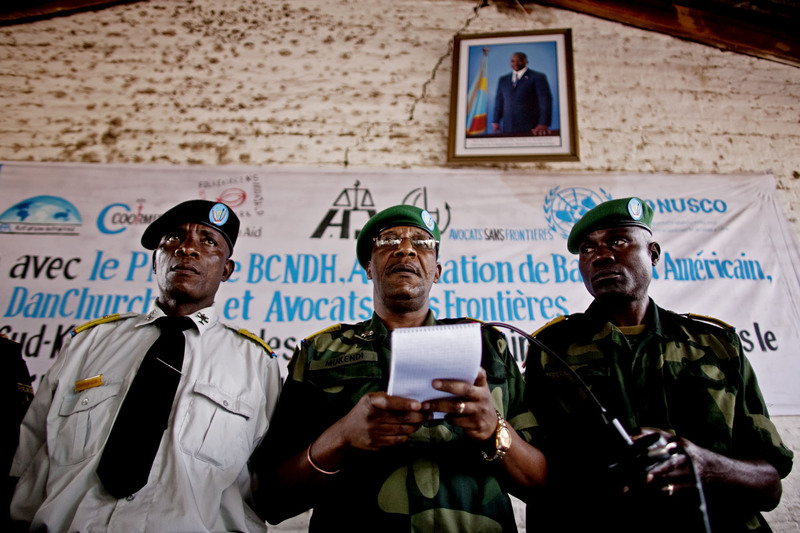 Freddy Mukendi (C), the President of the military court, reads out sentences on the final day of the trail. While the prosecution had requested the death penalty for Kebibi and others, that penalty was not handed down. The chief prosecutor was deeply disappointed and indicated that he plans to appeal those sentences. Kebibi and eight soldiers received lengthy prison sentences, one was acquitted and one was handed over to a juvenile tribunal for sentencing.